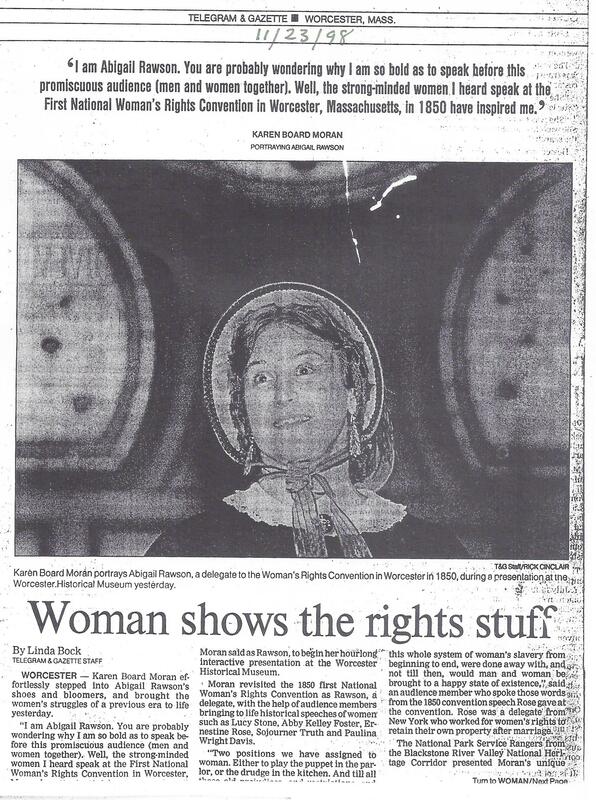 Abigail Rawson, an attendee of the 1850 first National Woman’s Rights Convention, was portrayed by Karen Board Moran, a Worcester Women’s History Project steering committee member and chairwoman of the Reenactment Committee for Women 2000, a celebration of the sesquicentennial of the 1850 first National Woman’s Rights Convention. 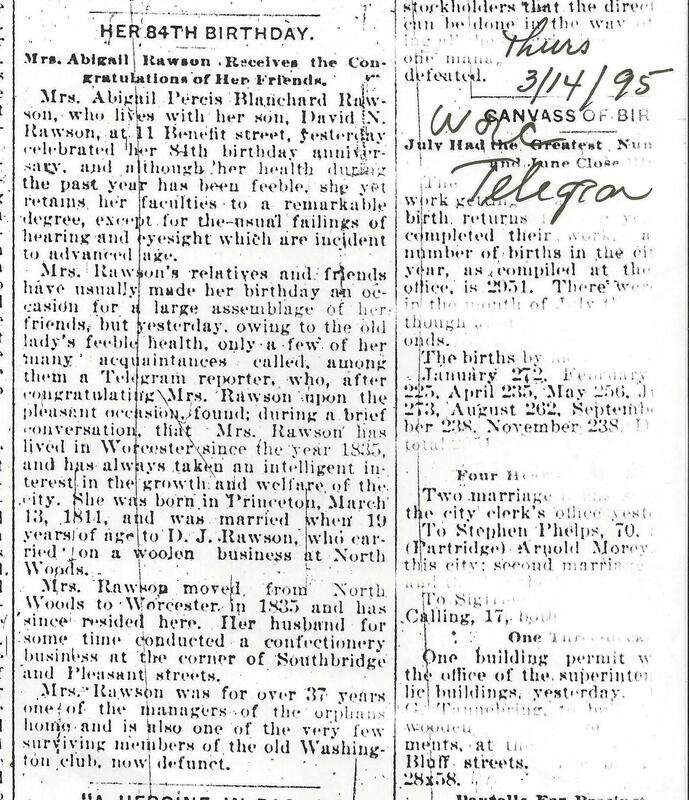 Using historic newspaper articles and other historical data she recreated Rawson’s life as an upper-middle class wife of a Worcester confectioner. 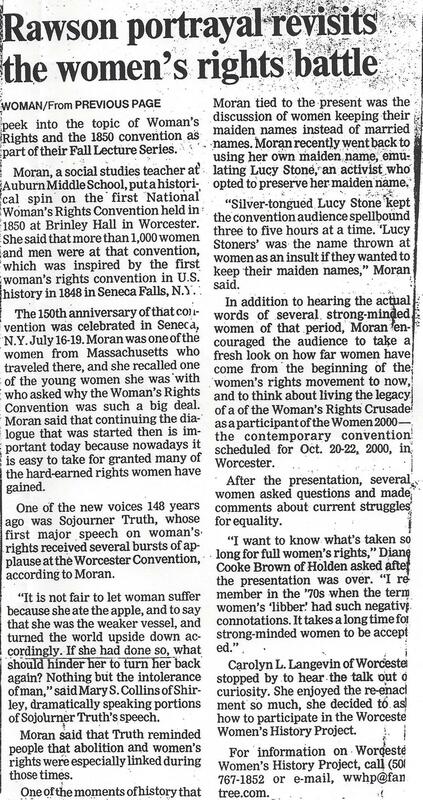 Moran’s research was done during her American Antiquarian Society 1997 Lila Wallace-Reader’s Digest Teacher Fellowship on “The First National Women’s Rights Convention held in Worcester in 1850”. 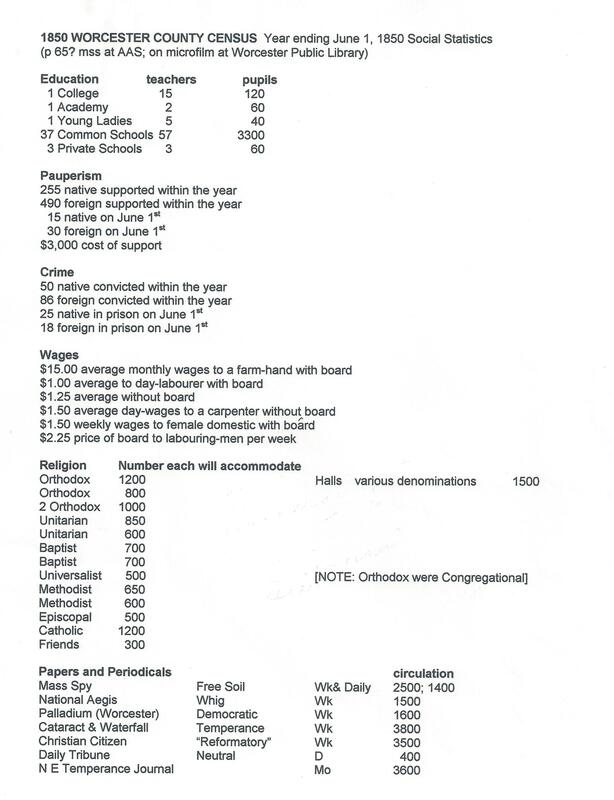 At the time she was a teacher and coordinator for social studies department at Auburn Middle School, Auburn, MA. 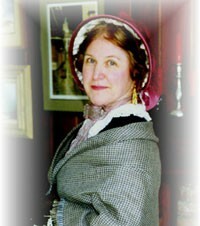 Based on her research Moran wrote a classroom play “Window on the Past: Revisiting the First National Woman’s Rights Convention” (2000) narrated as Mrs. Rawson and presented the play and excerpts of it at various venues for over five years. It’s Arizona debut will be in fall 2013. 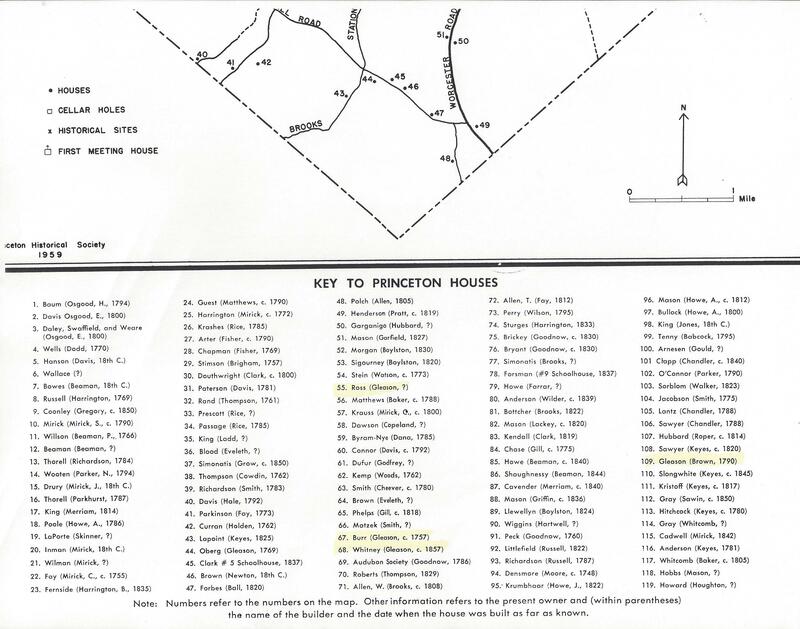 As chairwoman of the Reenactment Committee, Moran enlisted nearly fifty women and men to work with her, most of whom researched the particular attendees whom they portrayed in Angels and Infidels. 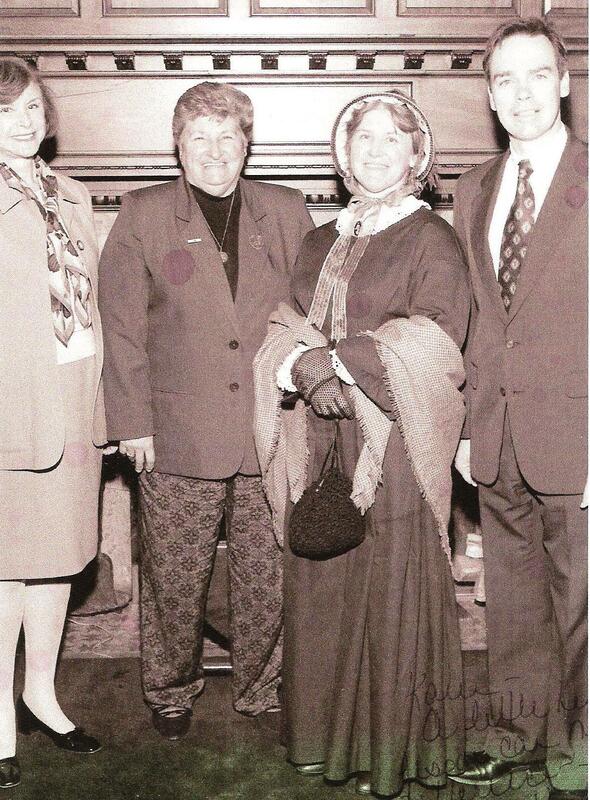 Lobbying for WWHP with MA Rep. Harriette Chandler, Delaware Lt. Gov Mimmer and MA Rep. Paul Haley, 1998. “Mrs. 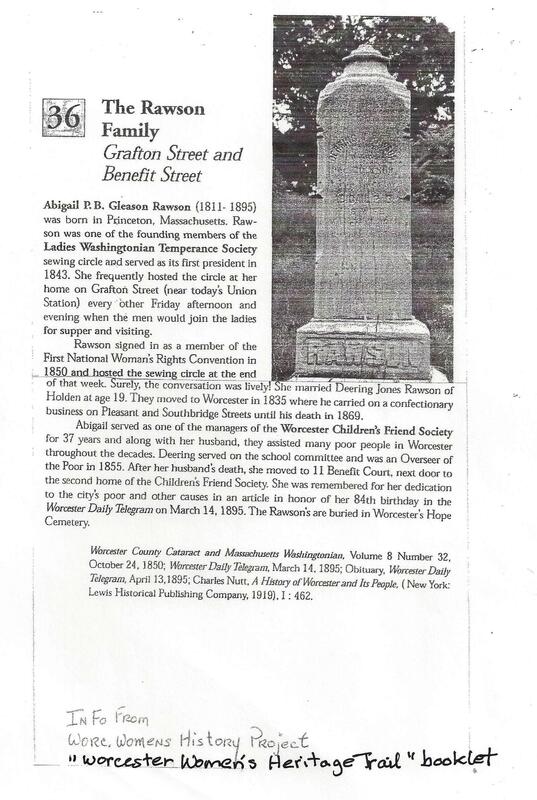 Rawson” became a spokeswoman for the Worcester Women’s History Project to encourage funding and participation during Women 2000 at a wide variety of venues from the State House to Seneca Falls. 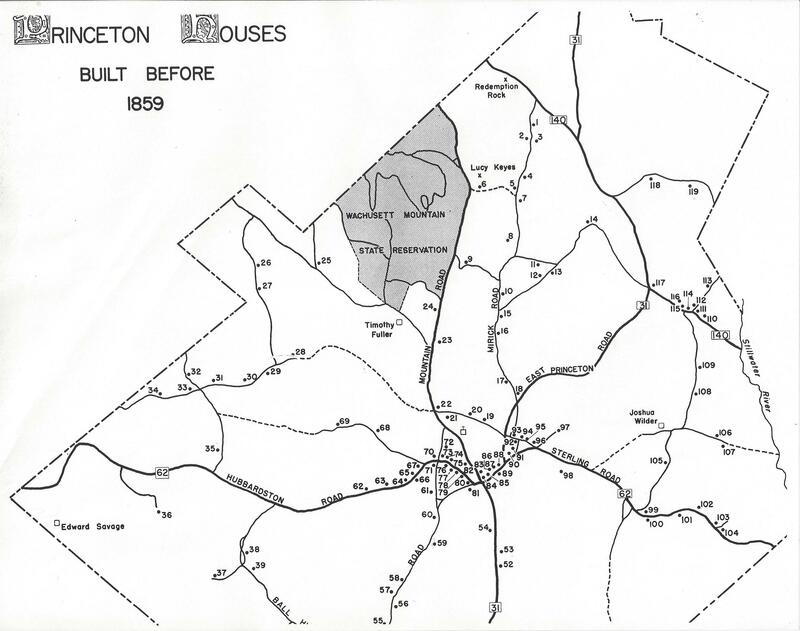 1998 February At a Brown Bag Lunch at Universal Unitarian Church, Worcester, Mrs. Rawson presented an interactive “On the Road to 2000” ten minute commercial. 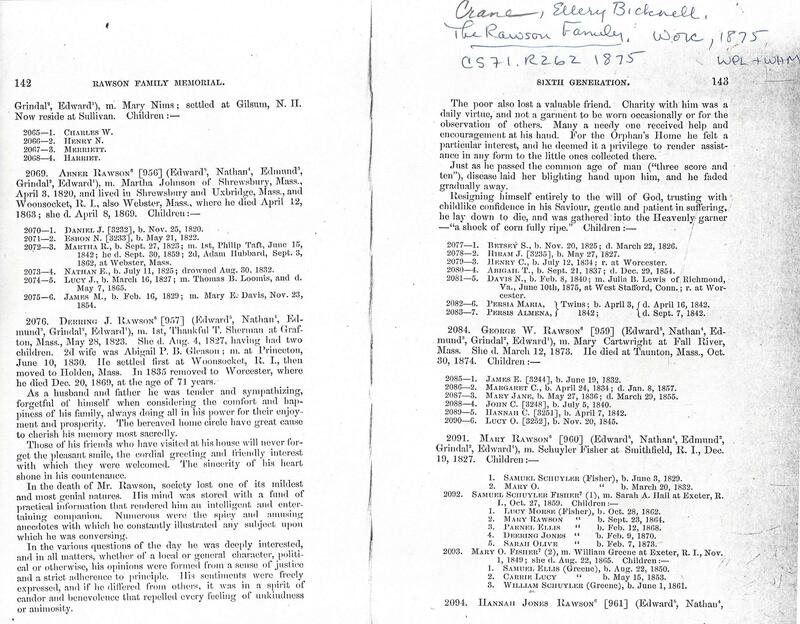 Descendants of convention delegates Anne, Marie and Edward Southwick were present, as well as Rawson’s descendants, Barbara Rawson and Donna Rawson Thurlow. 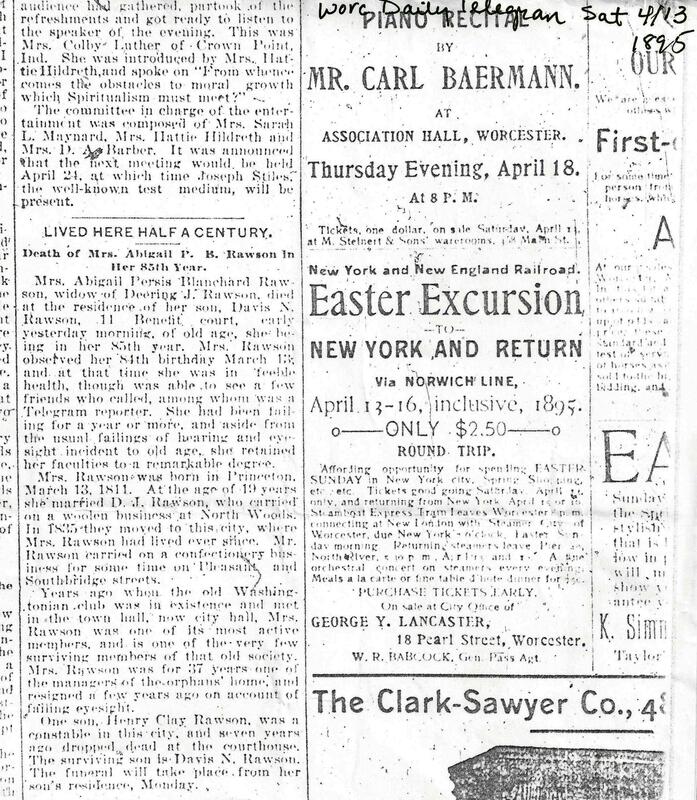 2001 April 23 Lucy Stone honored in Heritage Park, Gardner, MA. 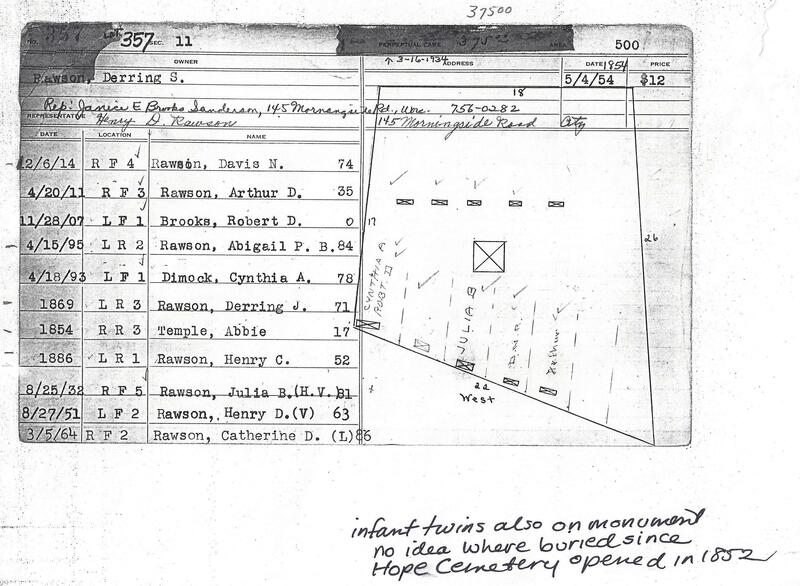 Hope Cemetery Plot 357, Worcester, MA. 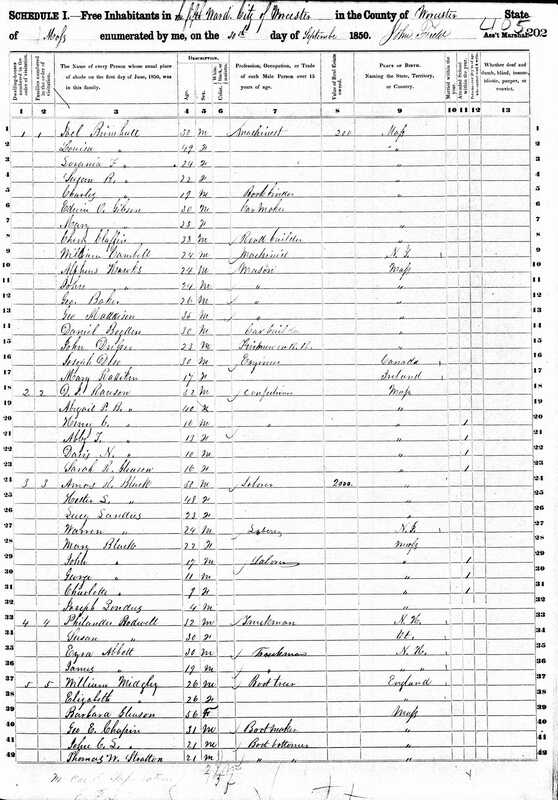 1860 U. S. Census for Rawson Family. 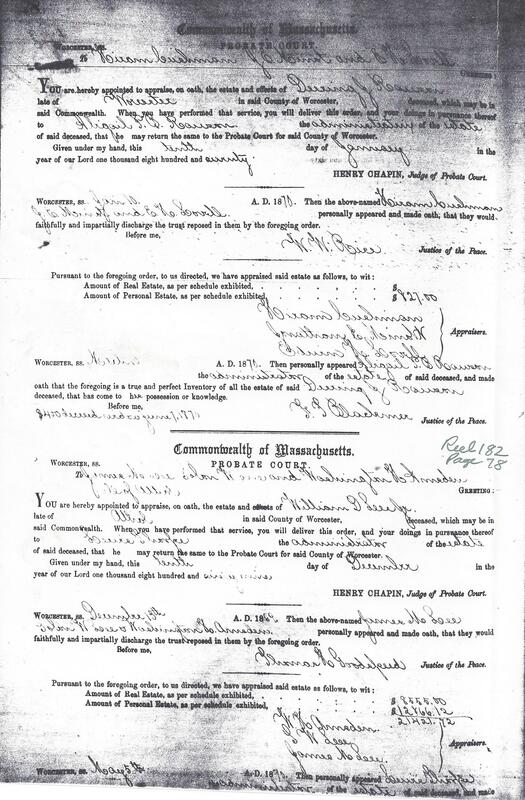 Notes from 1850 U. S. Census manuscript copy at American Antiquarian Society. 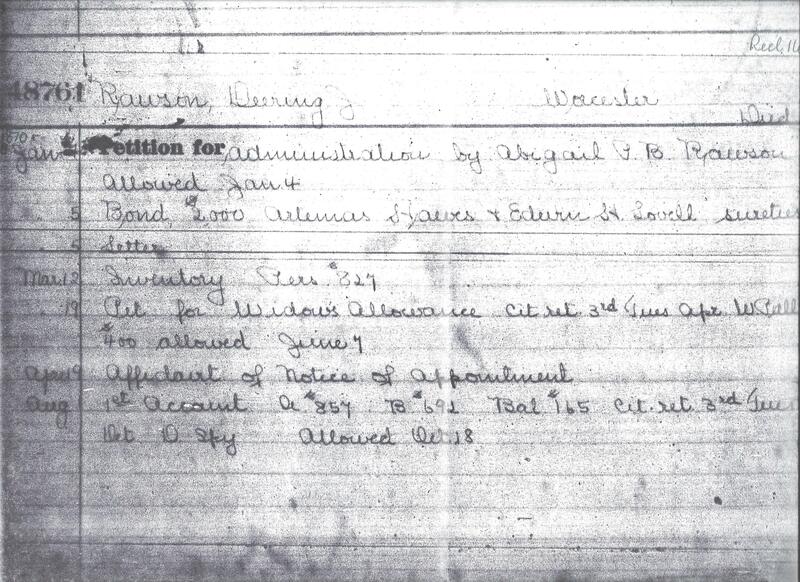 Worcester County Notes from 1850 U.S. Census manuscript copy at American Antiquarian Society. 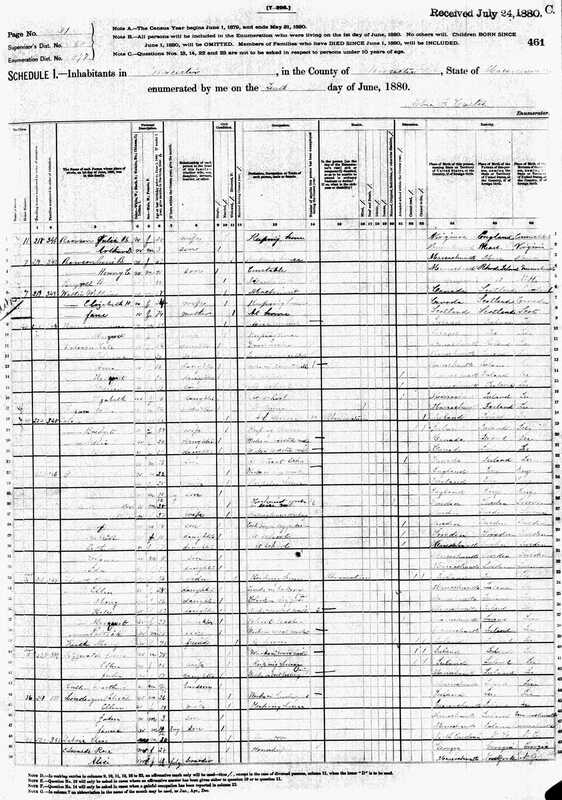 1850 U. S. Census found at Ancestry.com. 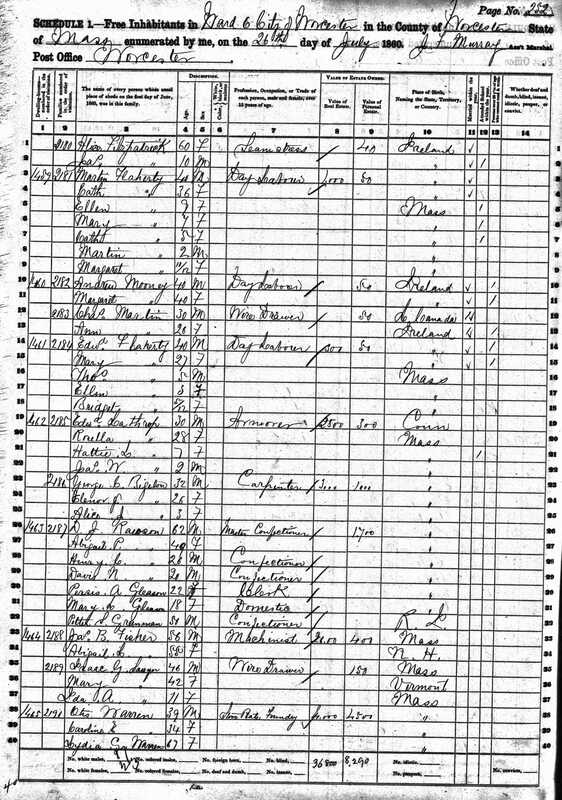 1870 U. S. Census found at Ancestry.com. 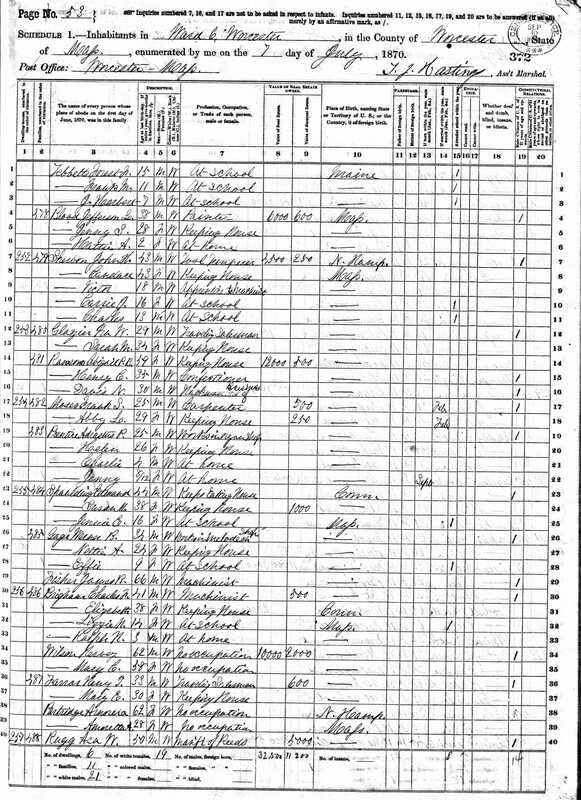 1880 U. S. Census found at Ancestry.com. 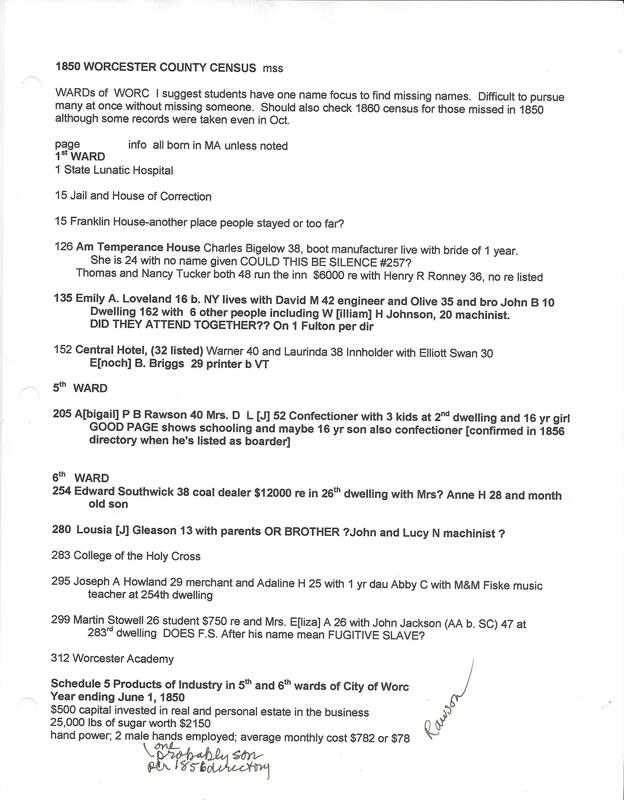 Genealogy by Karen Board Moran with notes. Abigail Rawson is found in GENERATION FOUR.